Virginia Gov. Ralph Northam speaks during a news conference in the Governor's Mansion in Richmond, Va.
Virginia Governor Ralph Northam does not plan to resign, despite calls that have mounted ever since a racist photo was discovered on his medical school yearbook page. Northam's spokeswoman confirmed that he met with top staff Friday and told them of his plans. It comes after a tumultuous week in Virginia politics. In addition to the photo found in Northam's yearbook, Virginia Attorney General Mark Herring has admitted to wearing blackface, and Virginia Lieutenant Governor Justin Fairfax is now facing multiple allegations of sexual assault. 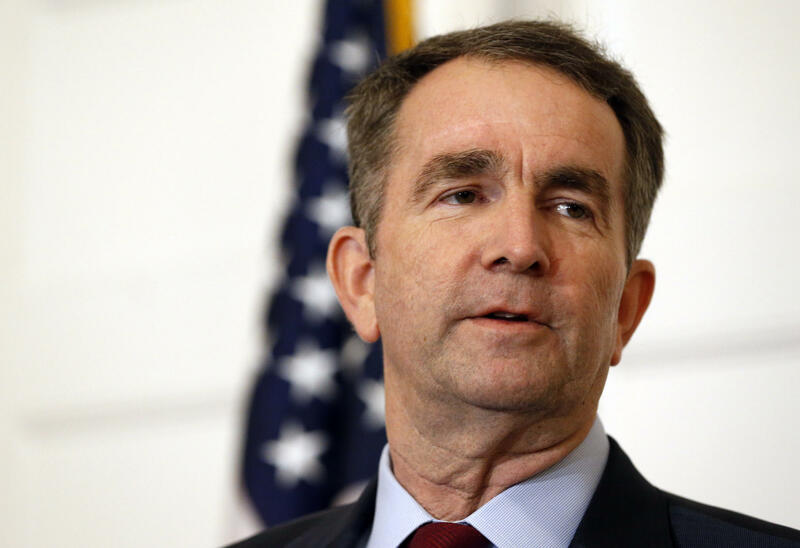 The trouble began Friday when Northam's yearbook photo was released and Northam issued an apology. Saturday, though, the Governor held a press conference and denied that he was in the photo. He did admit, however, to darkening his face for a Michael Jackson dance concert in the 1980's. Calls for his resignation came from state and national leaders. Democrats and Republicans in the statehouse asked him to step down, so did the Virginia Legislative Black Caucus, and NAACP. Protestors marched outside the executive mansion. Now Northam is seeing a small uptick in support. Friday Democratic state Senator Chap Petersen released a statement saying Northam should not step down. "I will not request the Governor's resignation," Petersen wrote. "Nor will I request any other official to resign until it is obvious that they have committed a crime in office or their ability to serve is irredeemably compromised." Northam also met Friday with John Boyd, president of the National Black Farmer's Association. Boyd is a farmer in southside who says he still supports the Governor. Speaking about the meeting, Boyd says Northam apologized. "And I accept that apology, and I believe in redemption and forgiveness," Boyd says. Northam tweeted a photo of the meeting, one of his first public posts since Saturday. He also sent an email to state employees saying quote "I am deeply sorry for causing this distraction from your important work... you have placed your trust in me to lead Virginia forward -- and I plan to do that."